Apps are revolutionizing the way clients receive mental health care. While an App can't replace a counselor, it can go a long way in collecting client information, educating clients on mental health topics and assisting clients in a moment of need. We've collected the latest Apps and categorized them according to different groups. Some Apps are for clinical psychotherapy purposes and others for education or entertainment. If we missed one, send us a note and we'll add it to the list. While Apps will never be able to replace a therapist, they can be useful in helping gather information and help clients reach their goals in a more efficient manner. Mental health related Apps come in many forms. We have attempted to sort the types of Apps to help you find useful Apps for your clinical practice. 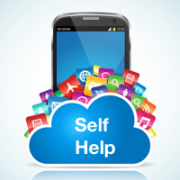 Apps can be used to gather mental health information, counseling intervention, client education, to remind clients of interventions, or as tools in clinical practice. The uses for Apps in counseling are as individual as each client's need. A cautionary note on intervention and reference Apps. Before you recommend an intervention App, make sure that you are comfortable with the developer and material in the App. The FDA is working on regulations to monitor and regulate Apps that are relied upon for clinical decision-making and interventions. Until Apps are regulated, therapists should treat Apps like they would a self-help book and ensure that the materials are sound and appropriate to the client. There are a lot of Apps on the market that are simply entertaining or poorly done. So take a moment and try out an App and test it before you recommend it. Students studying to become mental health providers, counselors, social workers or psychologists can benefit from a host of new Apps for students. Many were created as study guides and as quick reference materials to help students on the go. As you sort through the Apps, take a moment to ensure that the App contains up to date information from a reliable source. 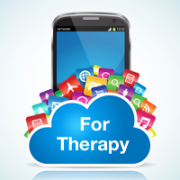 Are you using Apps in therapy? There are a LOT of ways to use Apps to help clients. I hope you will try a few and let us know how you use them in our practice. Are all these apps administered verbally, visually, or what? It would be important to know which medium is being used. @Luciano – Good point. At this time you’ll have to look at each Therapy App to identify which communication medium works best for you. While I have not looked at the apps, your list is comprehensive, else I would not have taken this time to thank you for offering this gift. I will provide additional feedback after looking further into the apps. You should add “Couple Counseling & Chatting” app on Android. Just Launched Feb 12, 2014 and hit 12,000 downloads in a week. It would be very helpful/useful to list the cost associated with each app as well. Thank you for your suggestion. We agree it would be a helpful detail to include but since prices are subject to change we want to remain as accurate as possible. We also recommend shopping by feature first, then click the links to get to specific apps’ page for pricing.